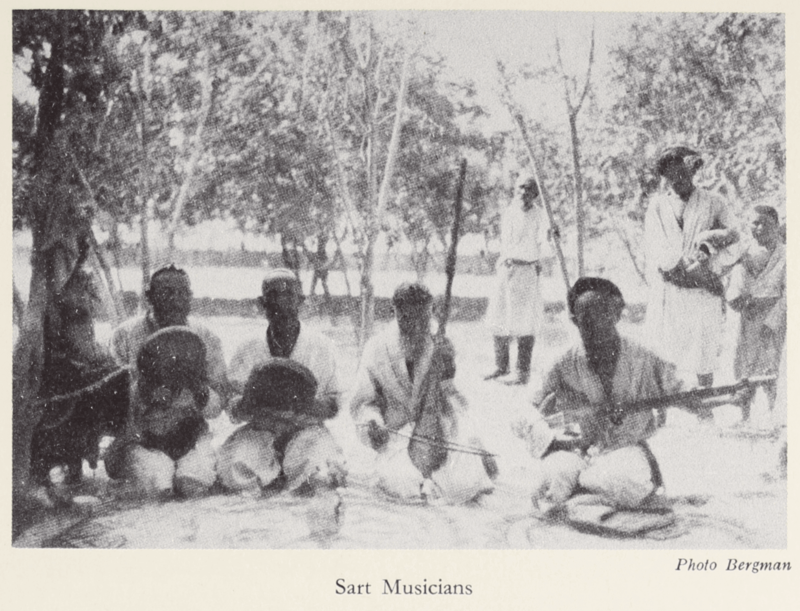 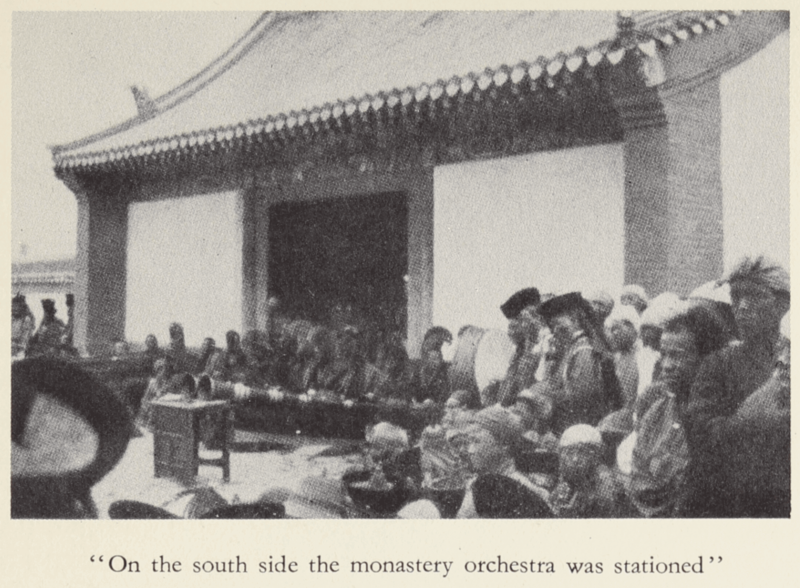 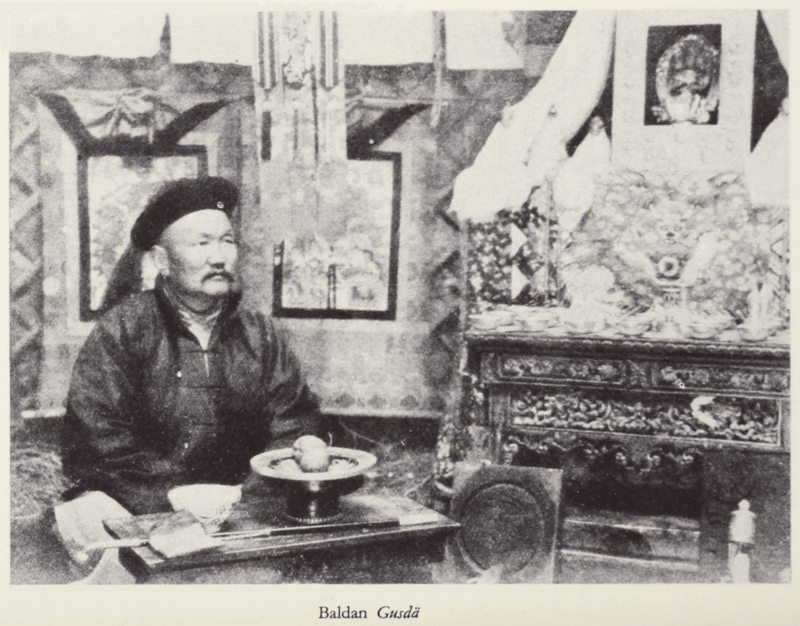 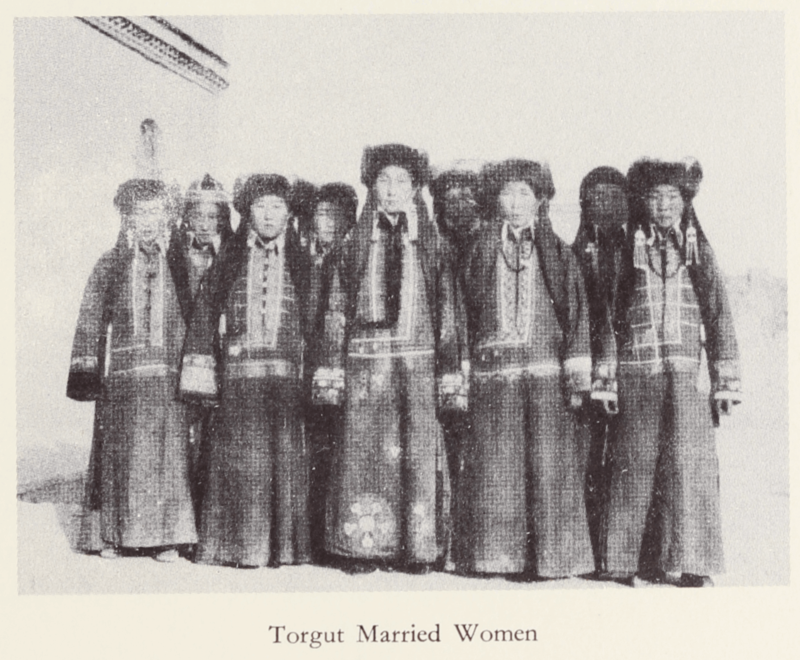 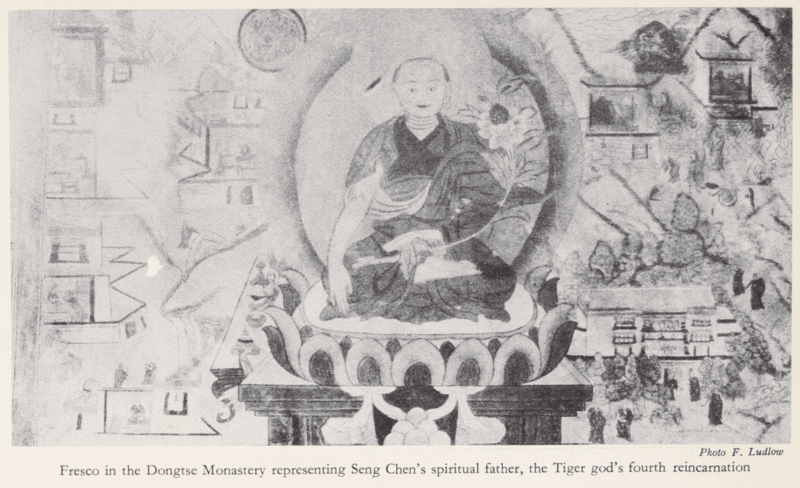 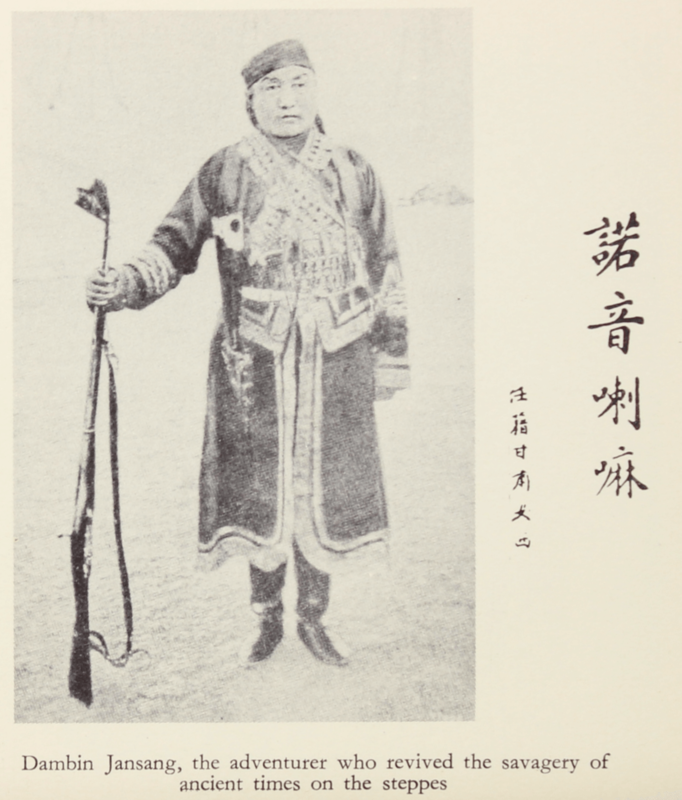 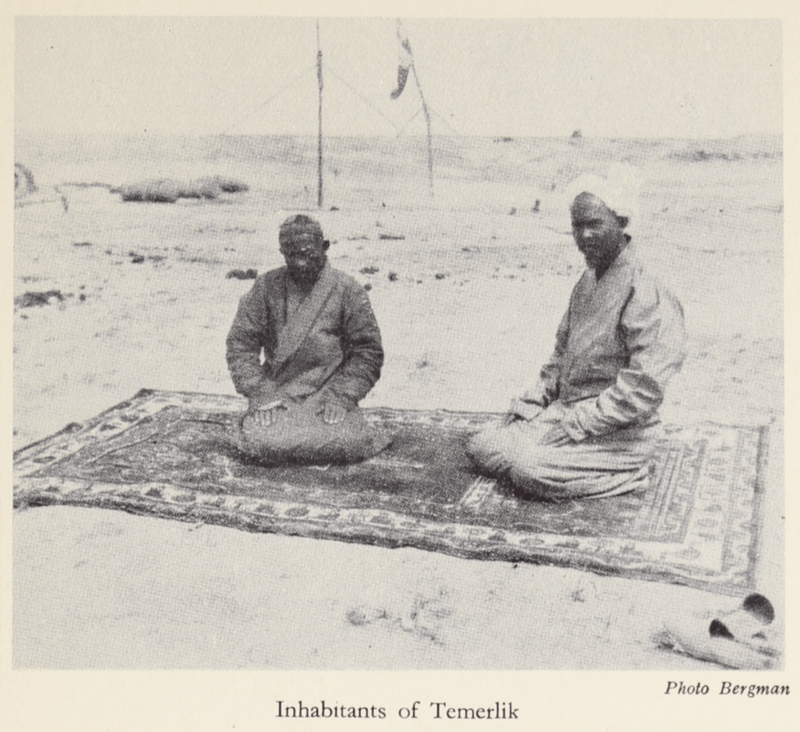 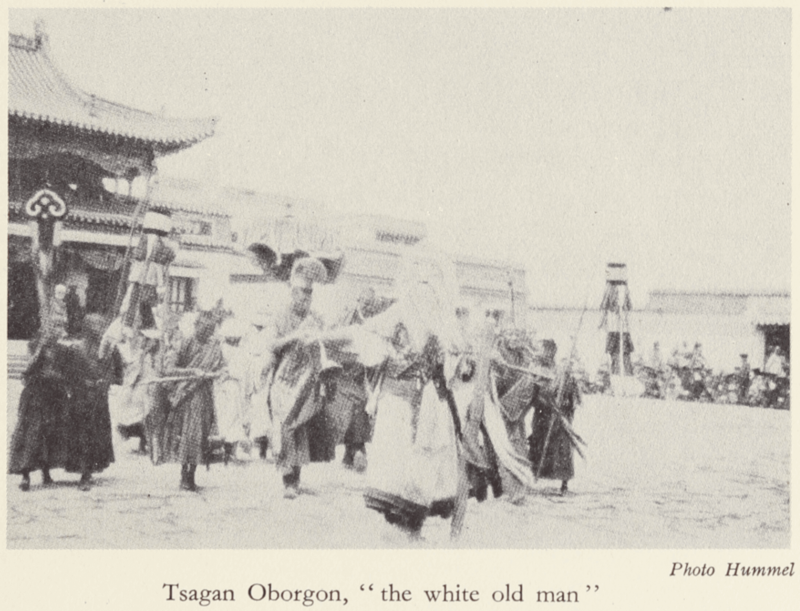 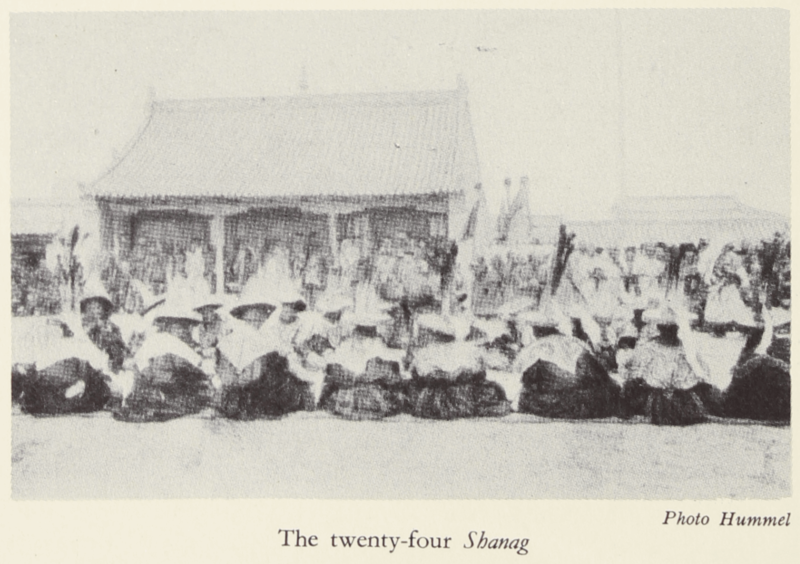 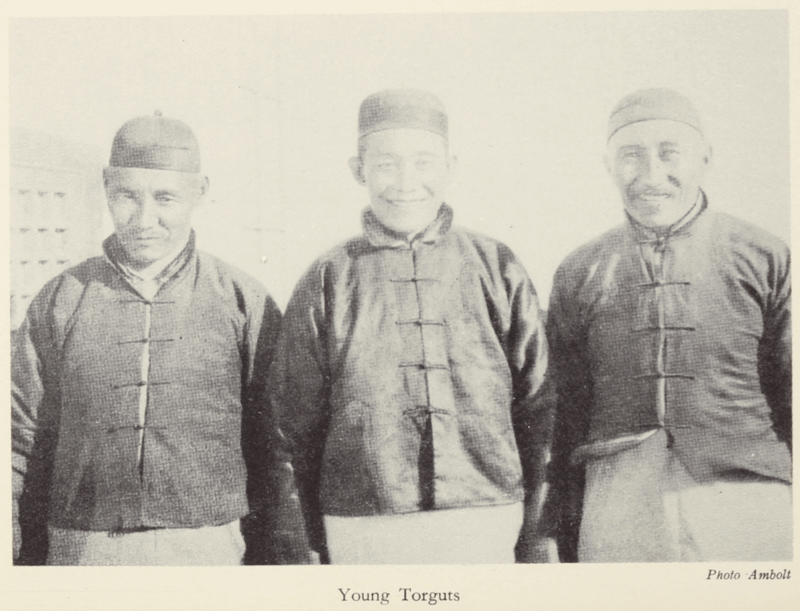 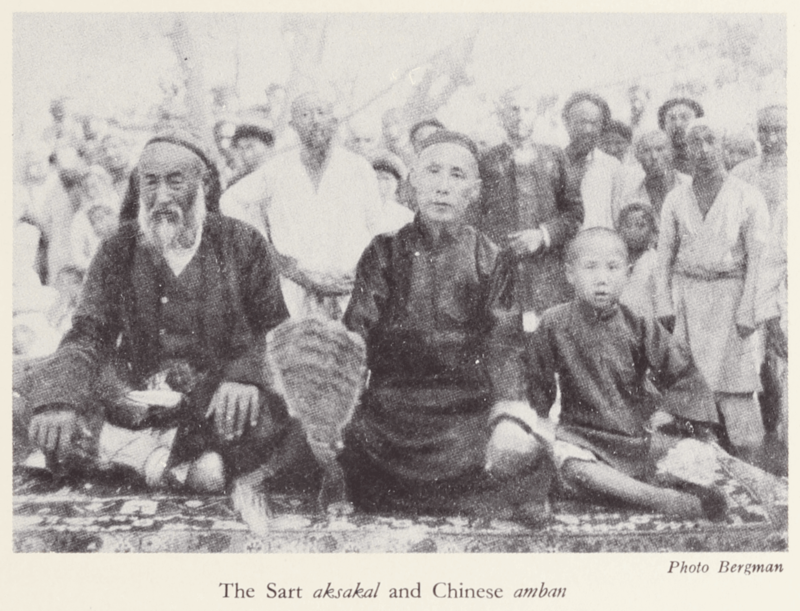 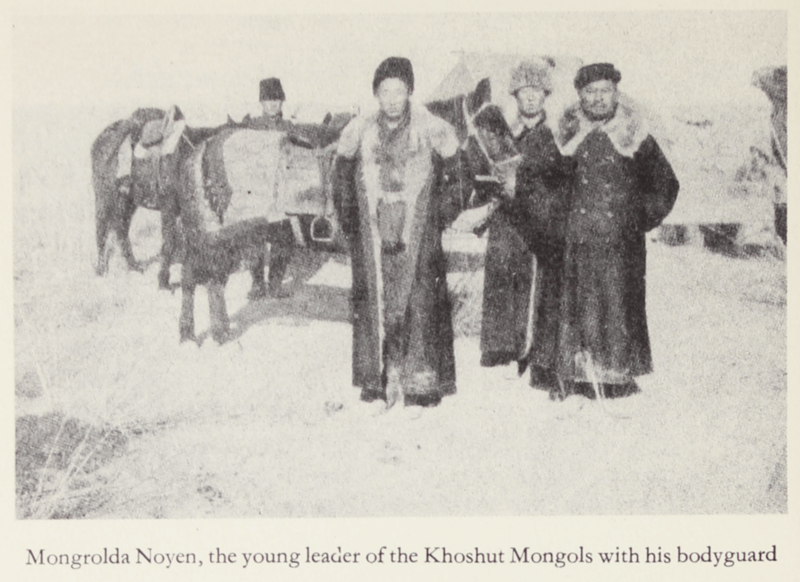 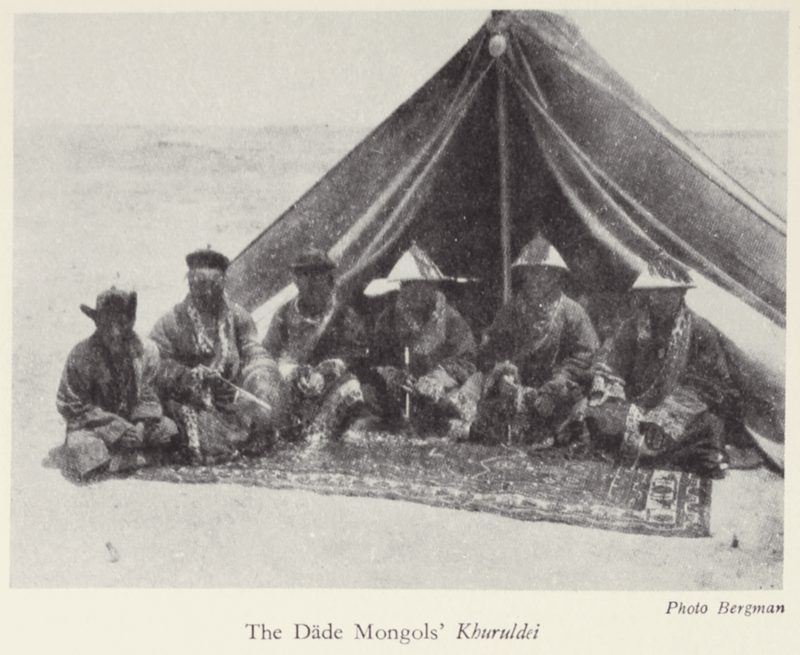 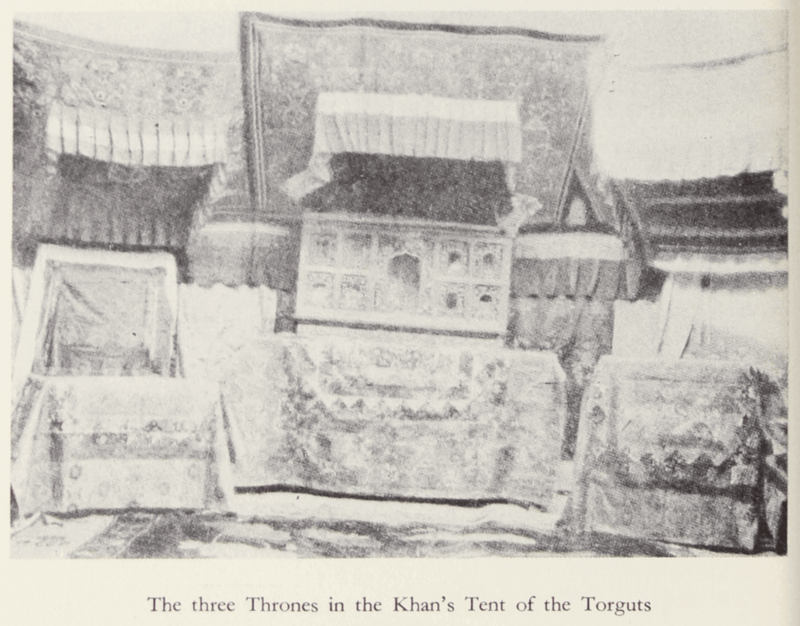 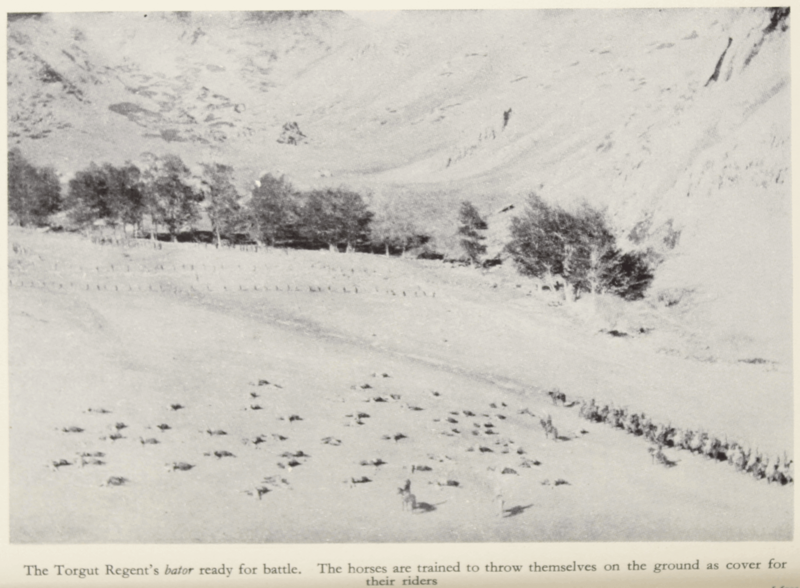 The book Men and Gods in Mongolia, first published in 1934, gives us a broad insight into Mongolian culture and history as well as the lifestyle and mindset of the nomadic population in this region. 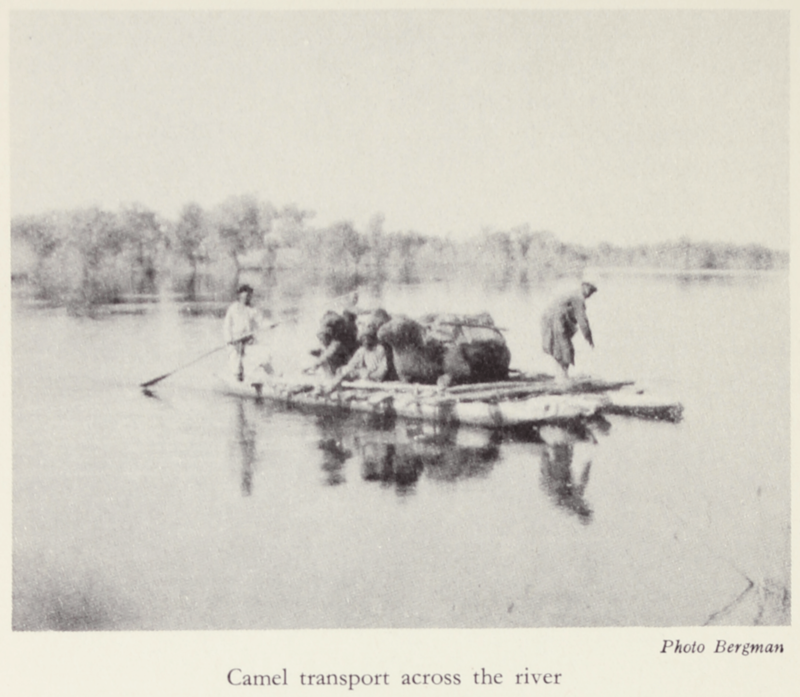 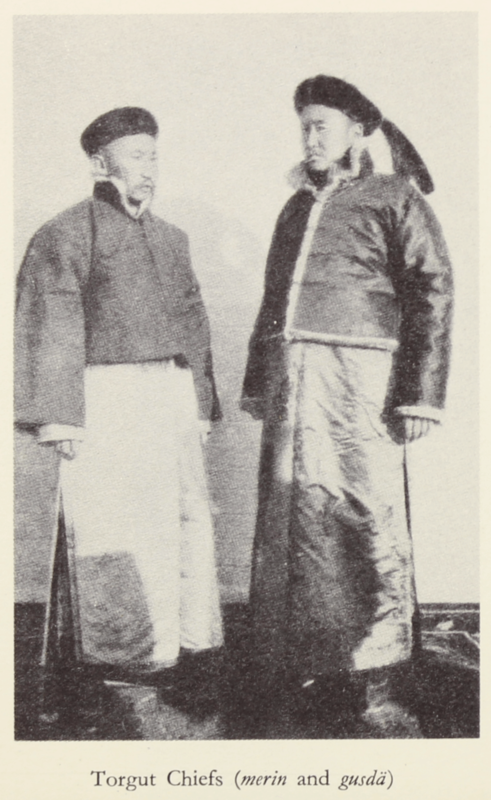 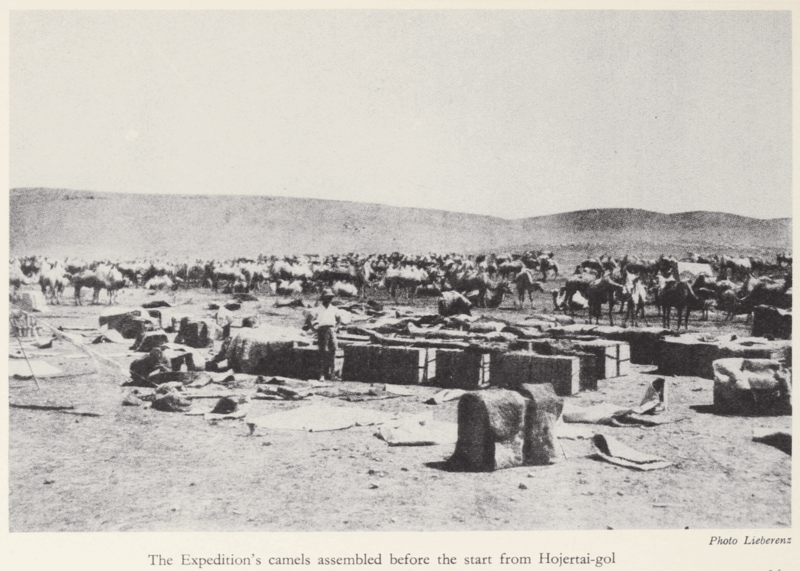 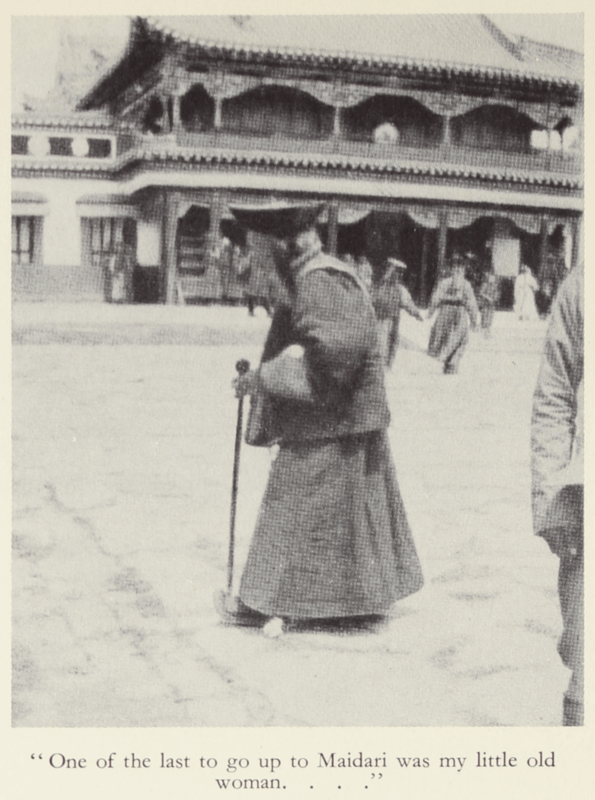 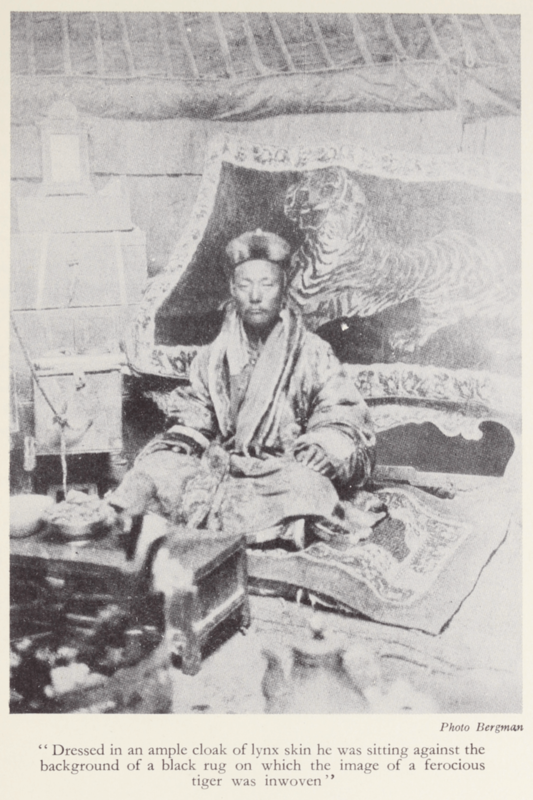 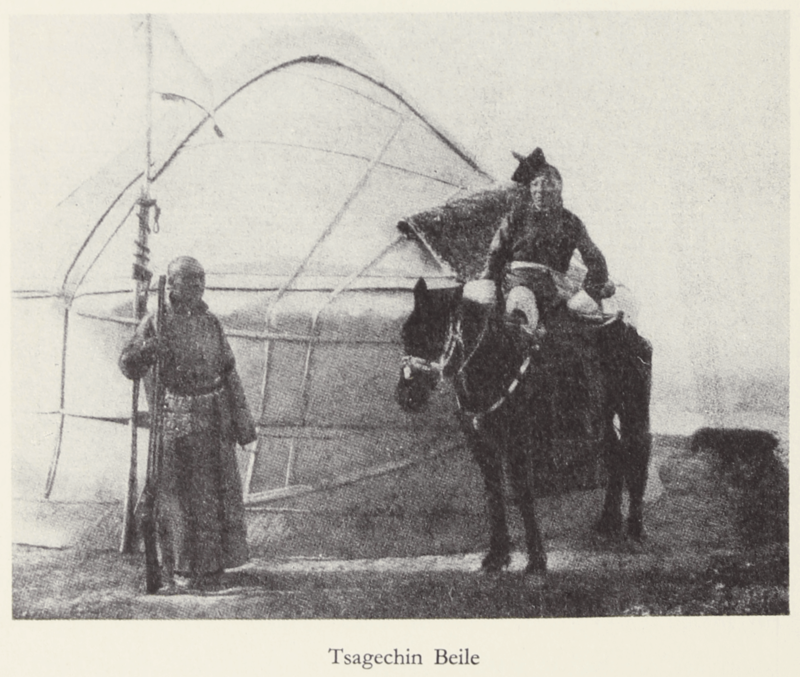 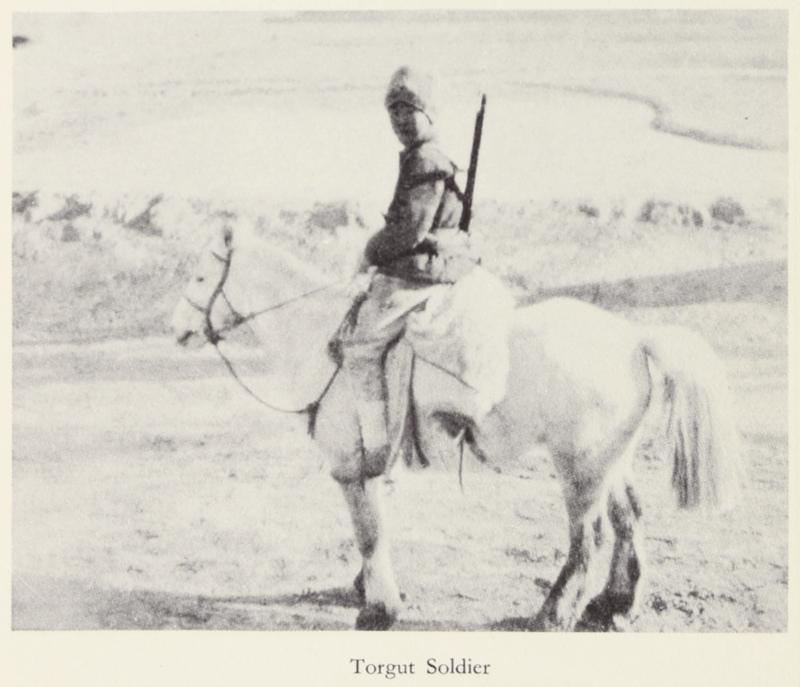 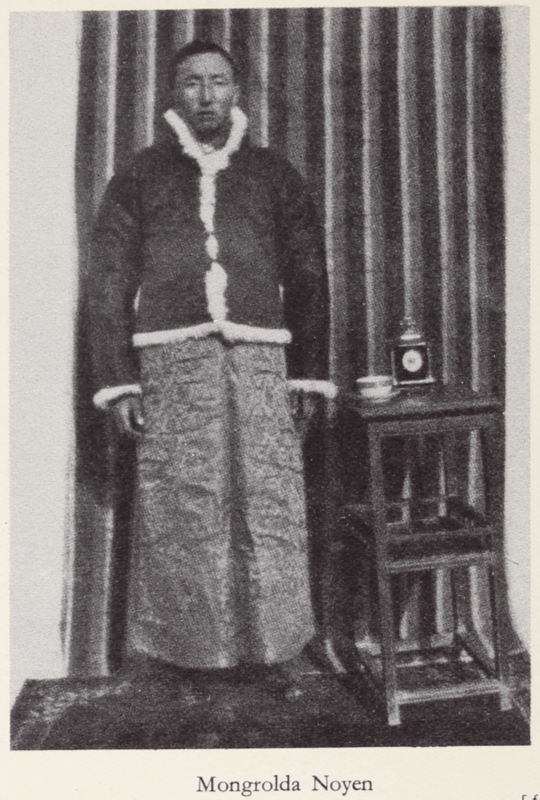 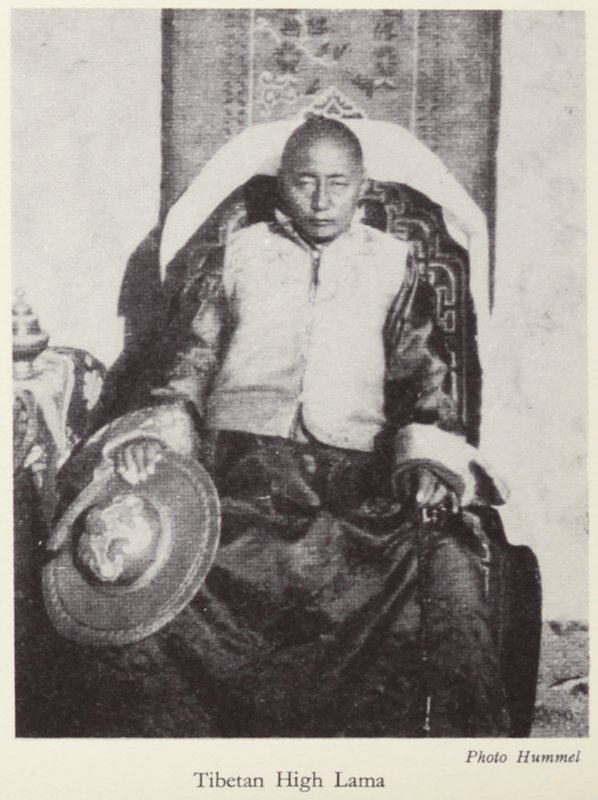 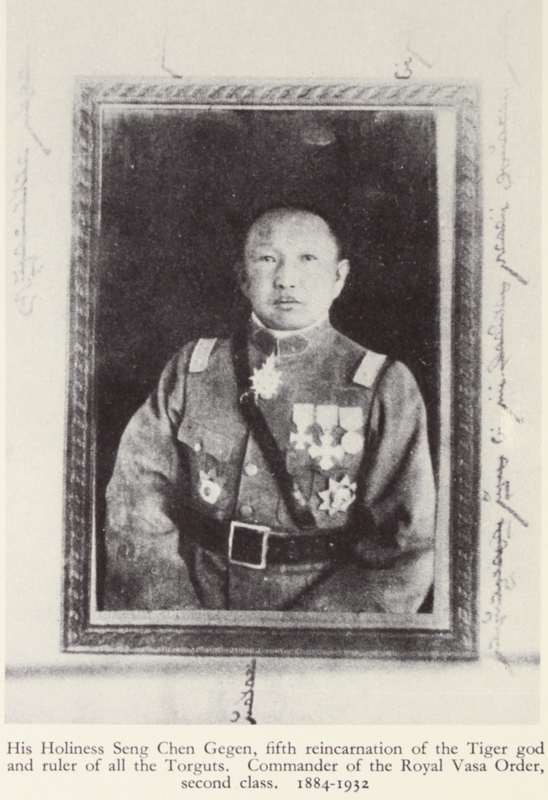 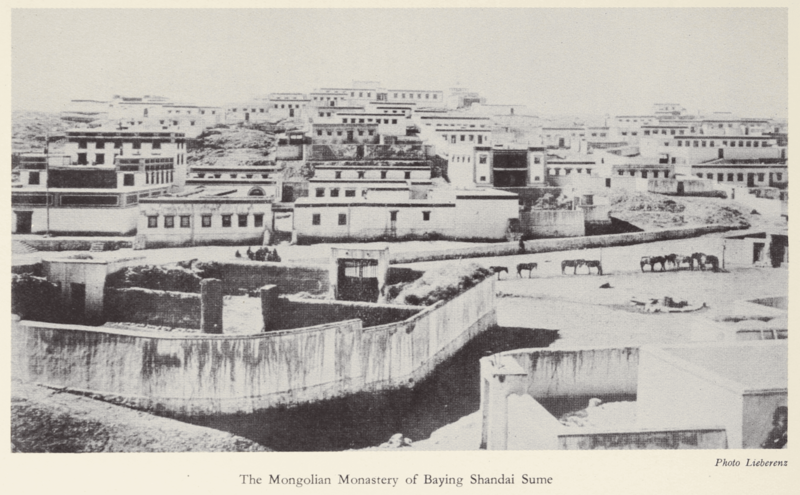 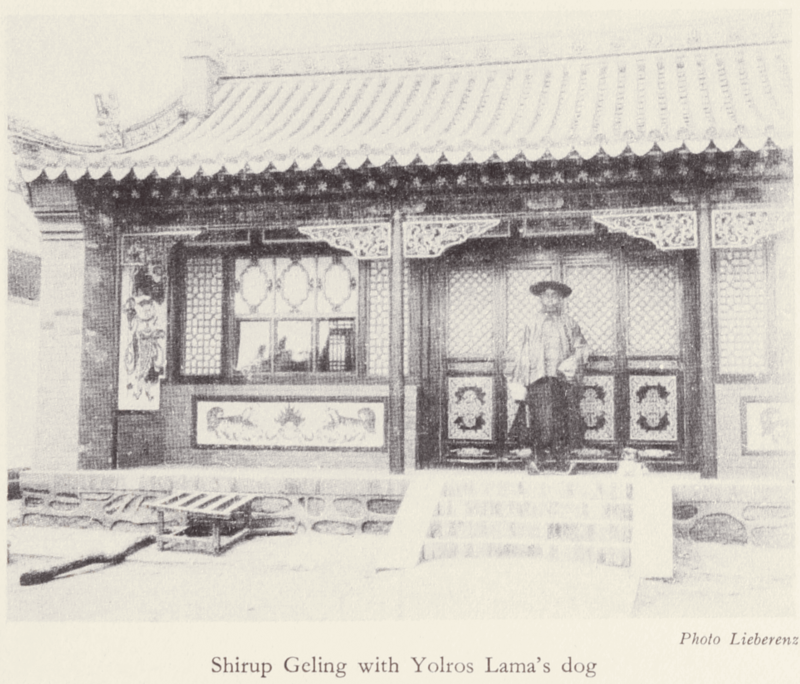 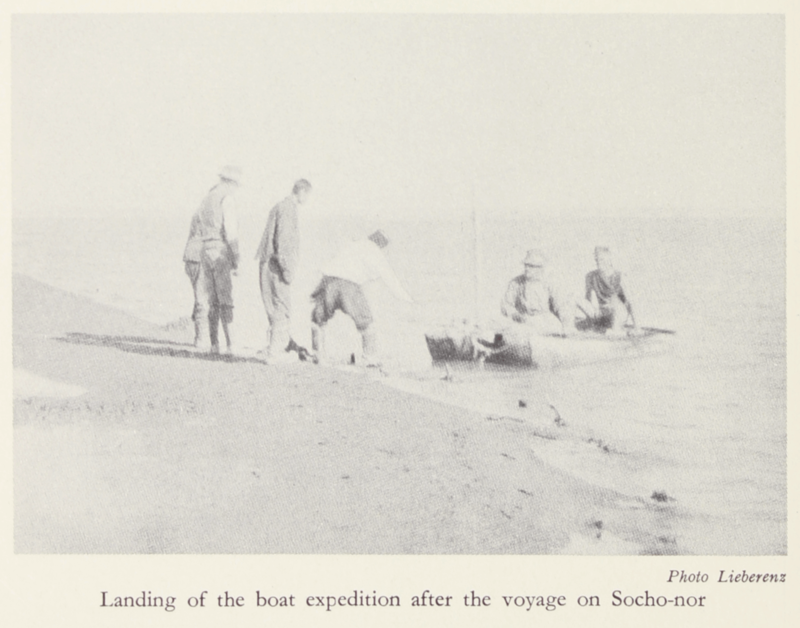 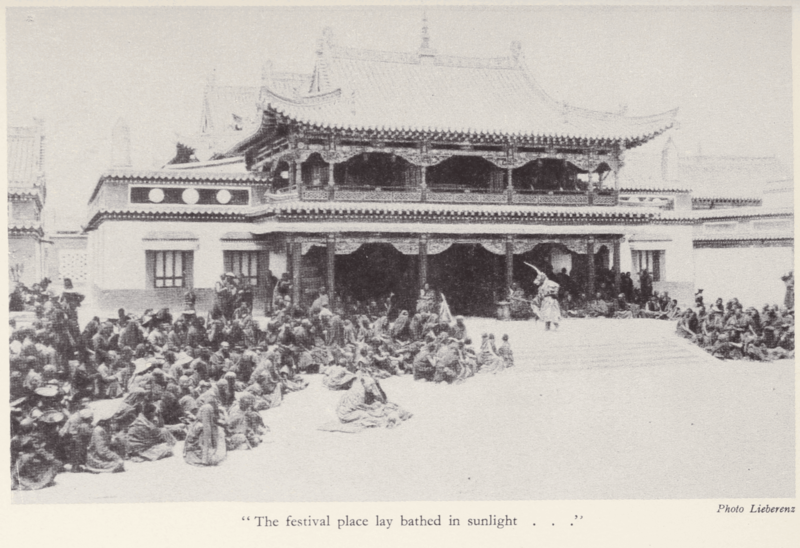 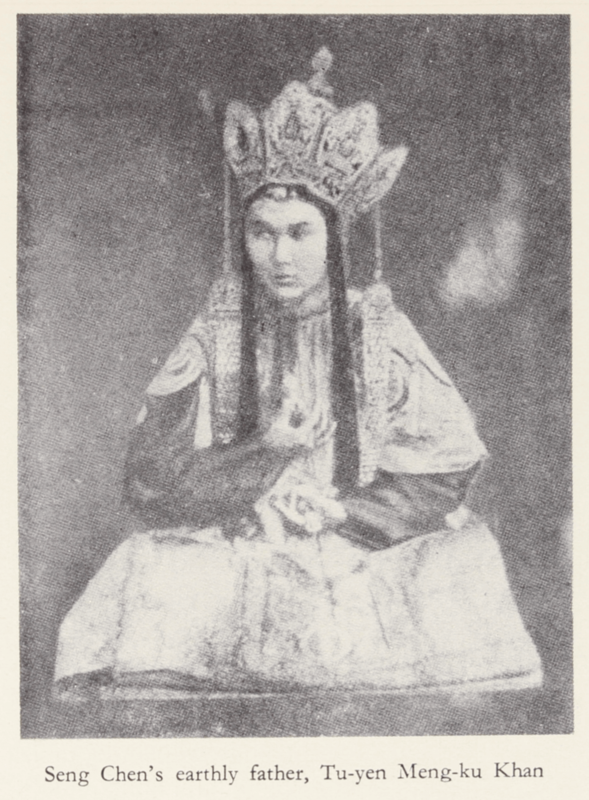 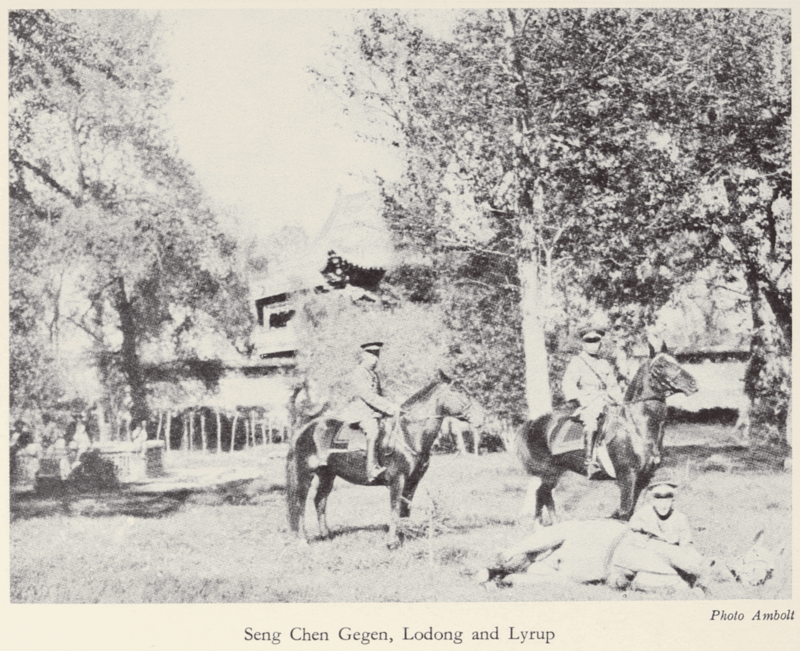 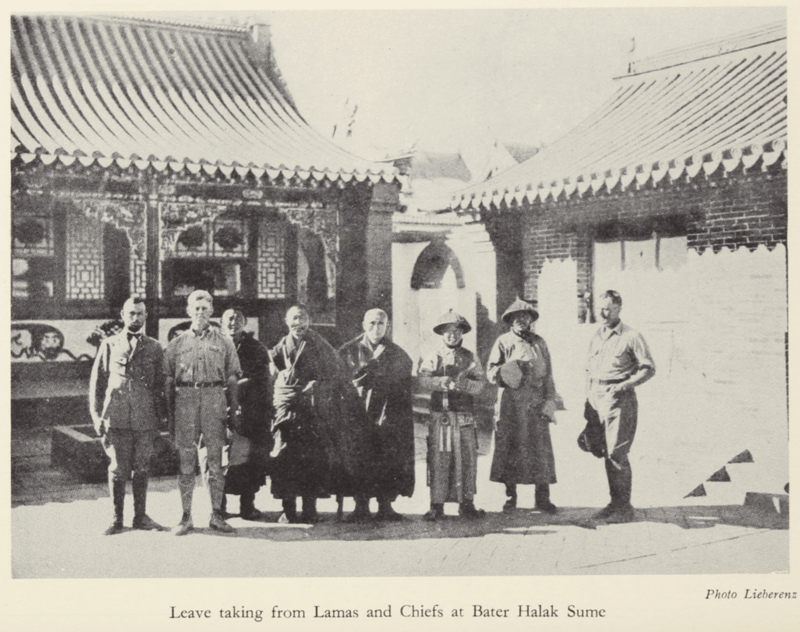 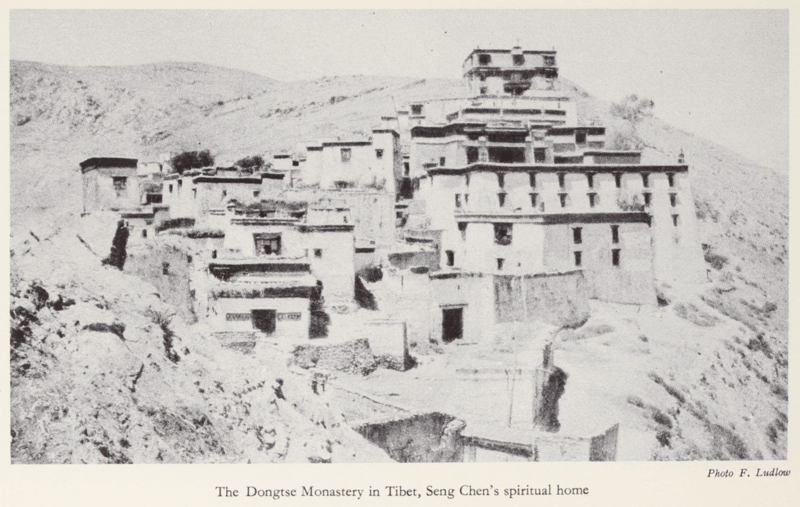 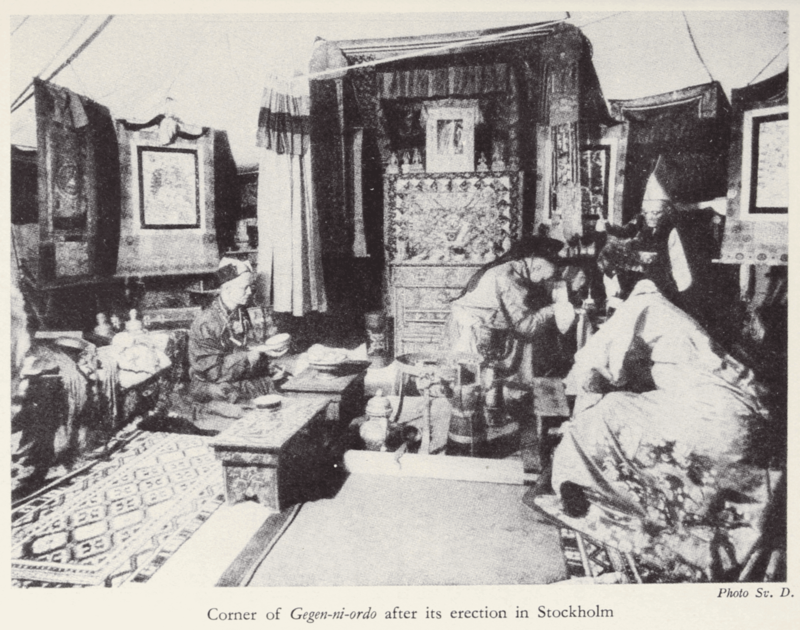 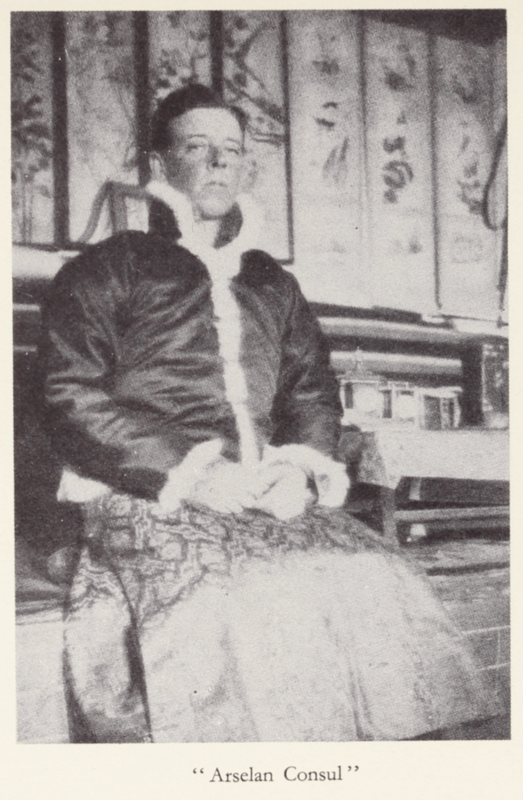 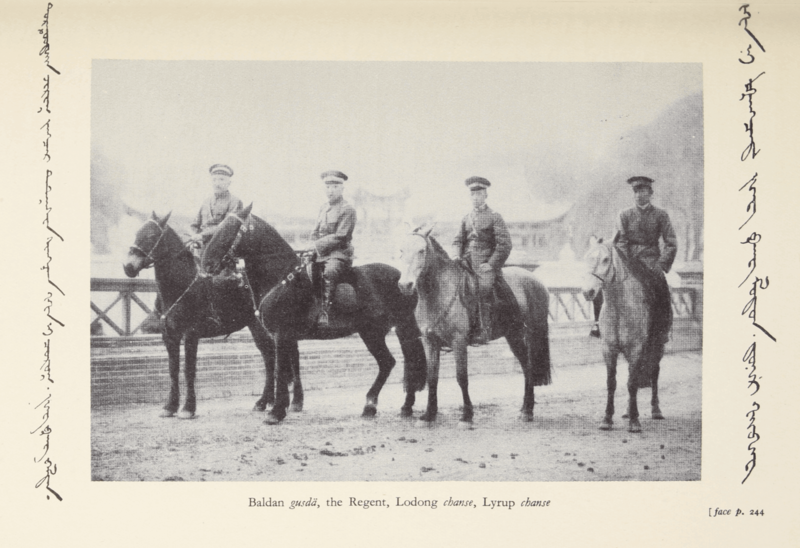 The Danish explorer Henning Haslund-Christensen joins Sven Hedin’s expedition and sets off on a long journey from Hsi-Pao t’ou to the Sinkiang Province, and he explores the immense yet remote and isolated world of Mongolia, which at this time still remains under the influence of “Red” and “White” ideals. 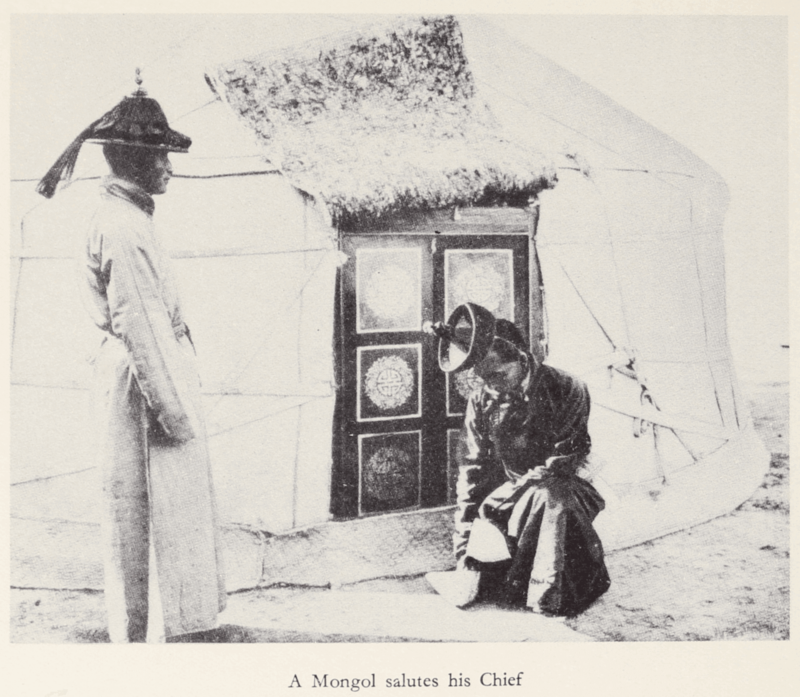 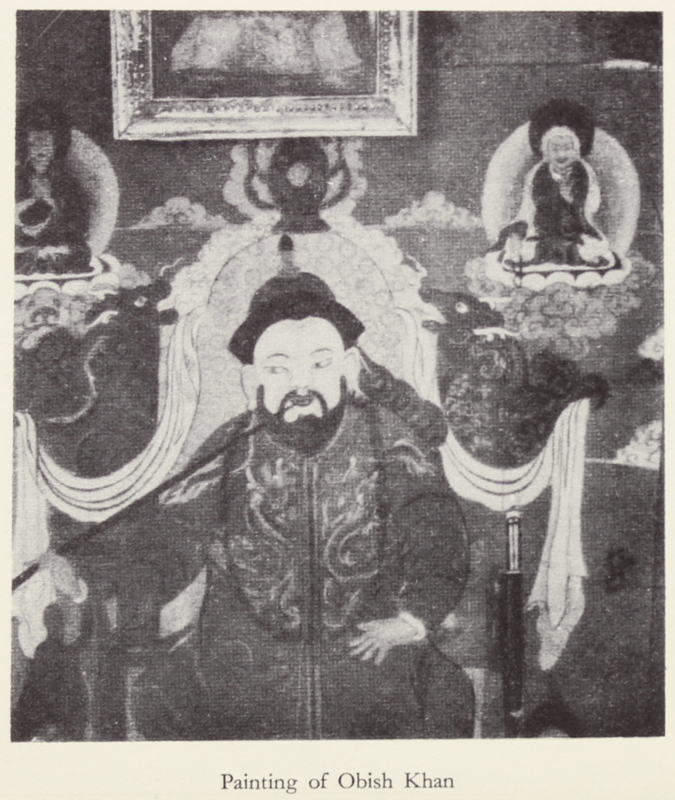 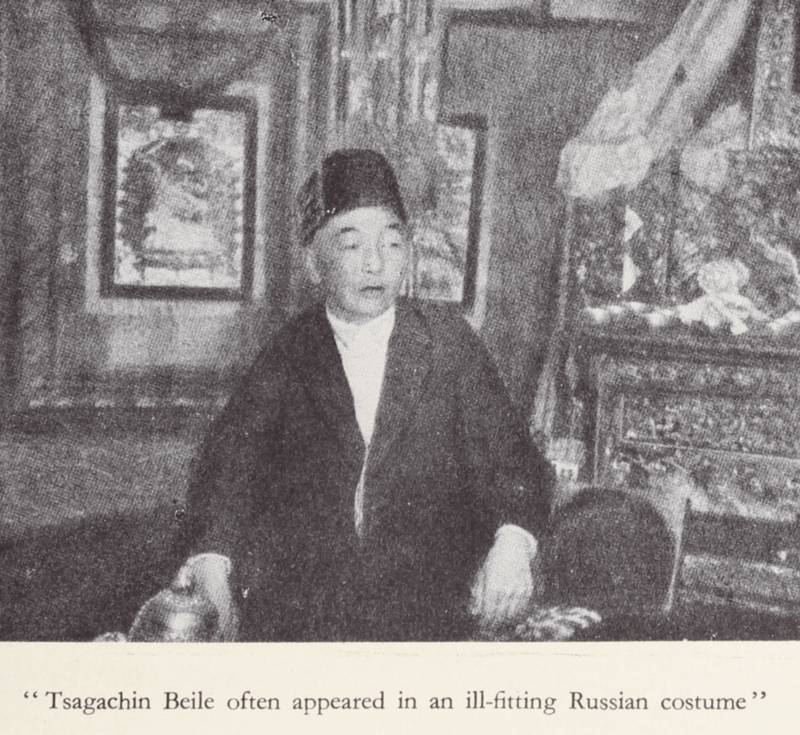 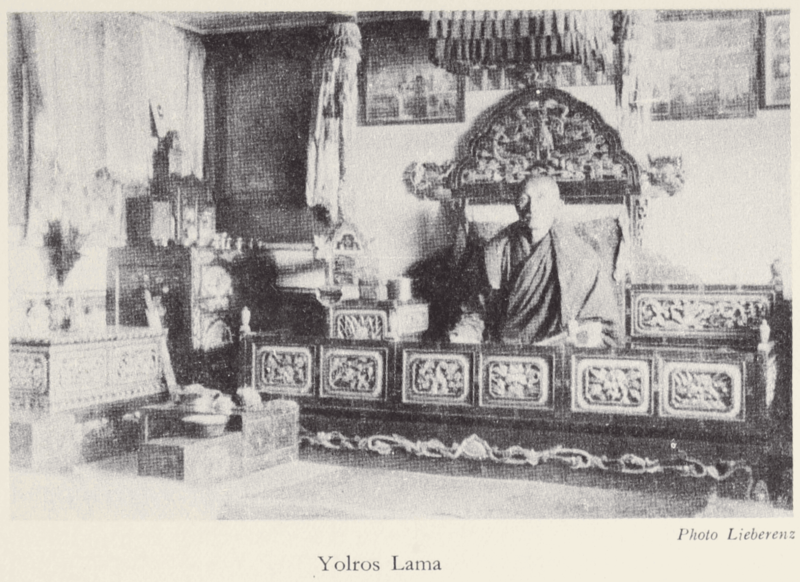 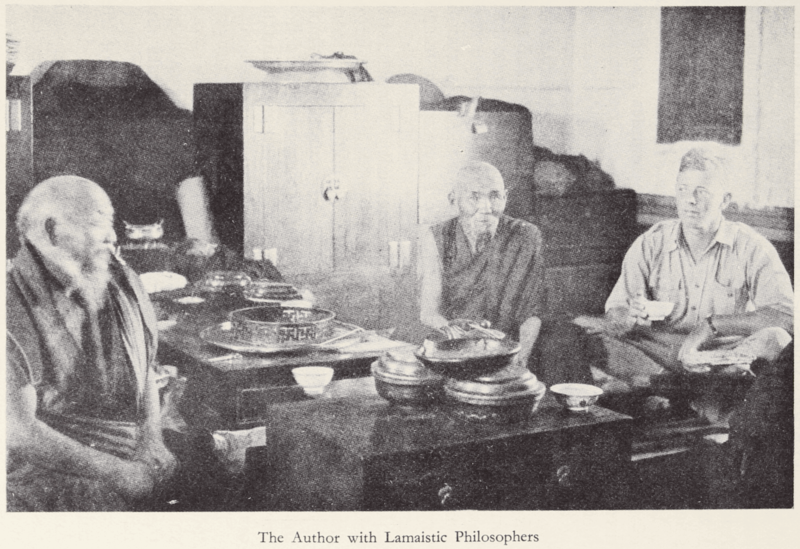 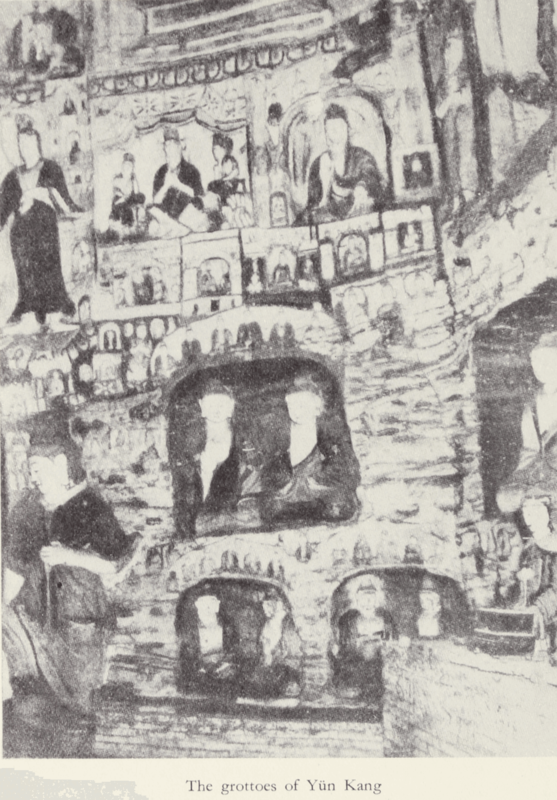 In Mongolia, Haslund-Christensen takes part in religious rituals and meets with holy hutuktus, i.e., lamas who represent the highest divine incarnation in the region, from Yolros Lama of the West to Töin Lama of the North. 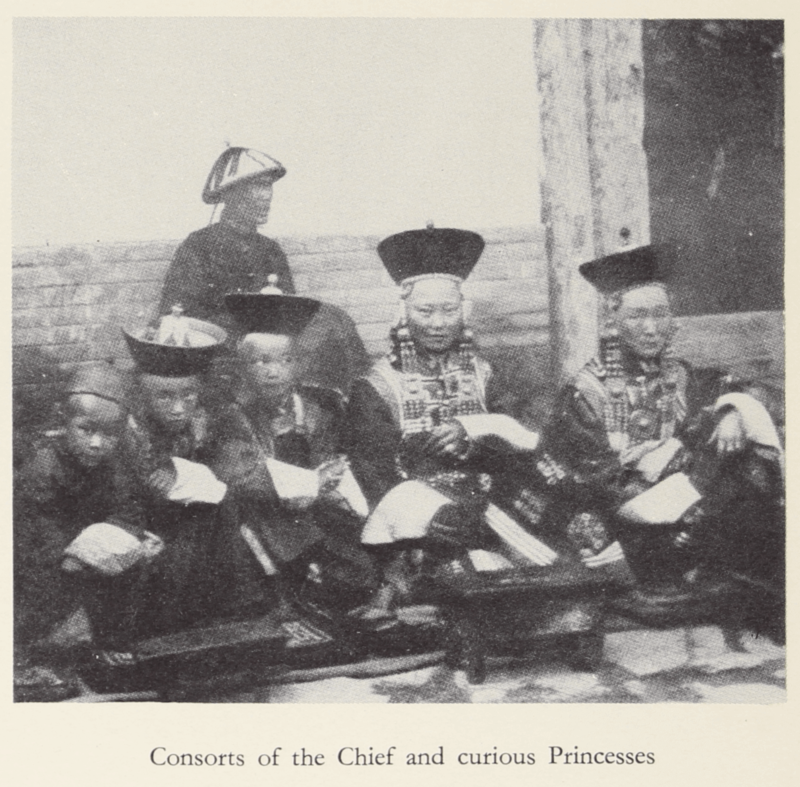 He also encounters high lamas, chieftains, princes, warlords, and governors. 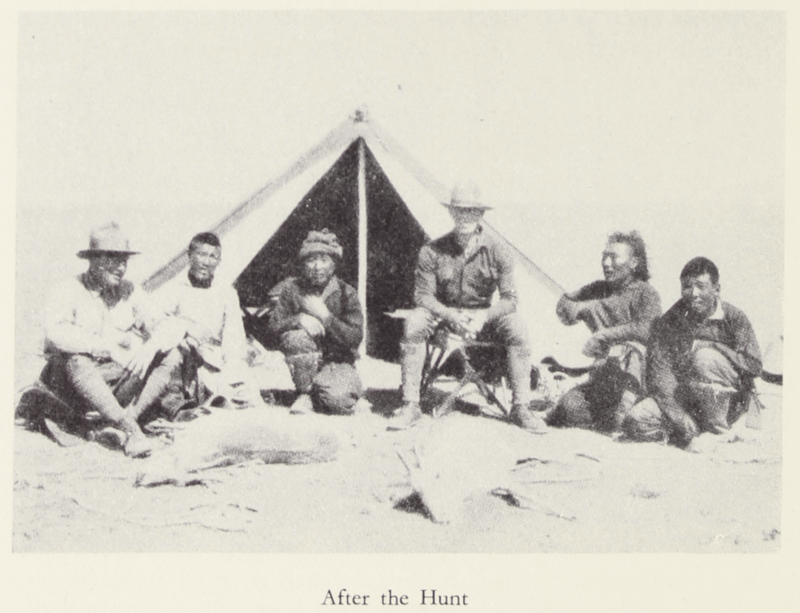 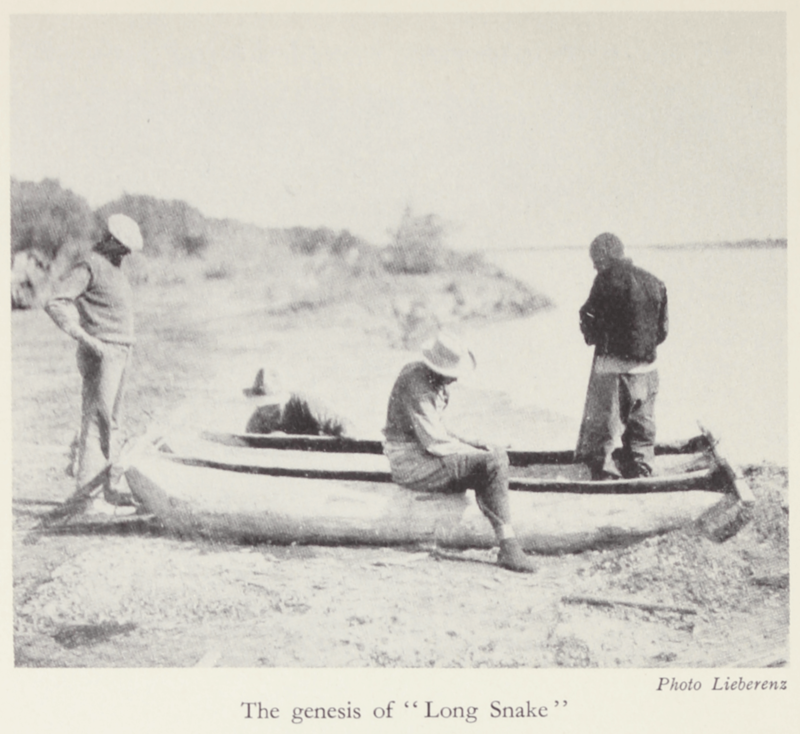 He and his expedition team carry out anthropometric measurements, take photographs, record folk songs and acquire specimens for the expedition’s zoological collections. 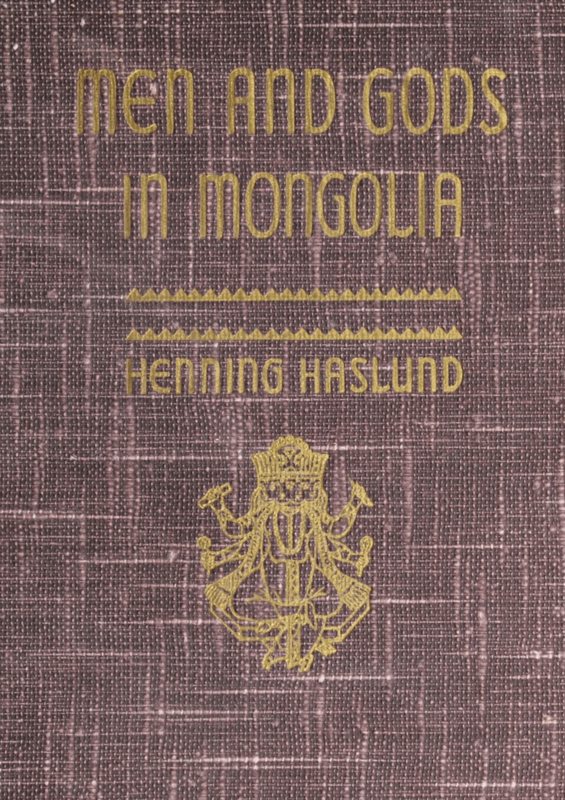 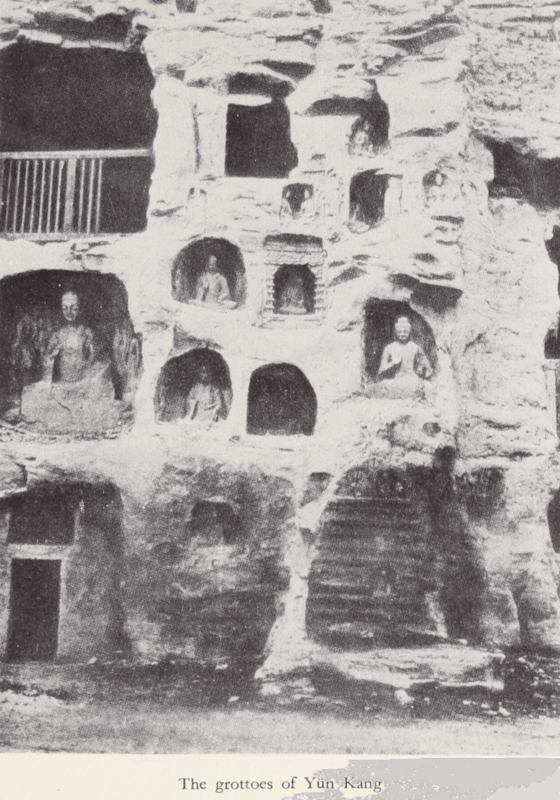 Passing through the mountains, deserts, oasis, steppes and lakes, Haslund-Christensen takes us into the world of shamanists, buddhists and god-kings. 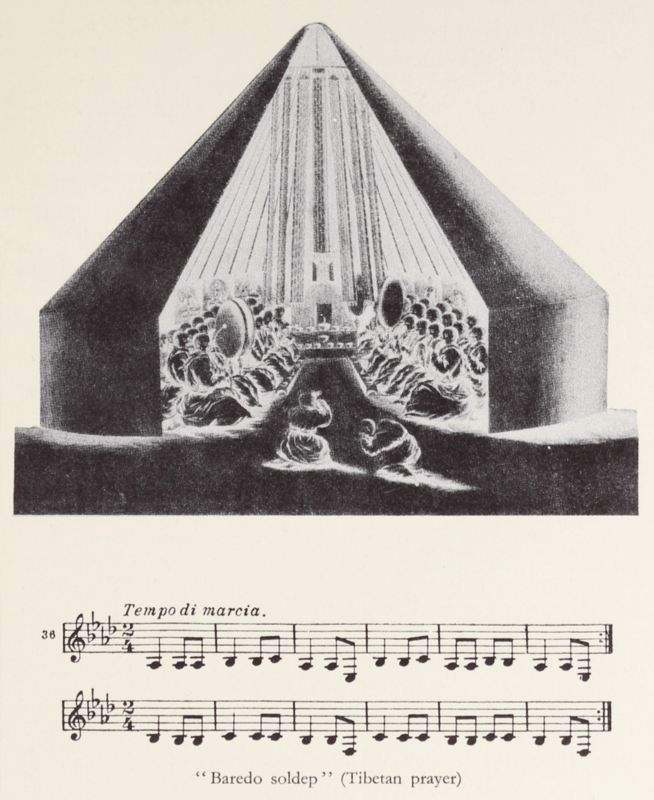 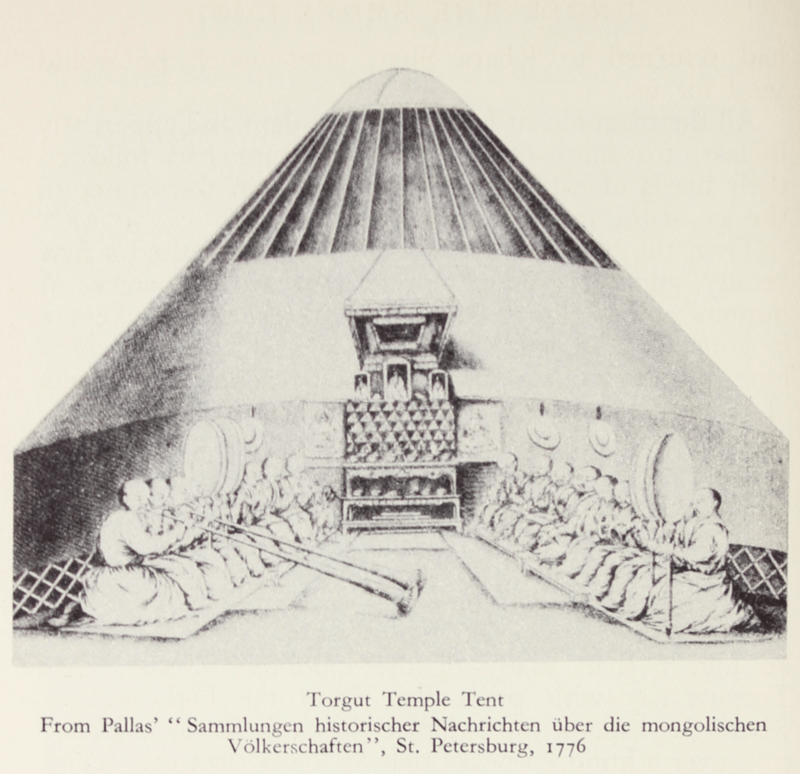 He also explores festivals, divine dances ( e.g.especially the so-called “Tsam” dance – see note below), fairy tales, and lifegiving music in this part of the world. 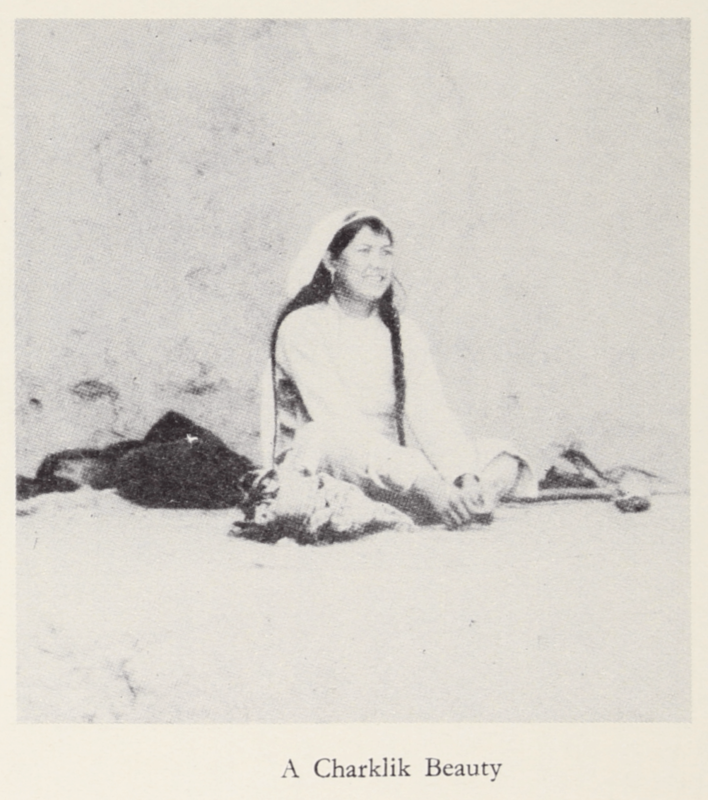 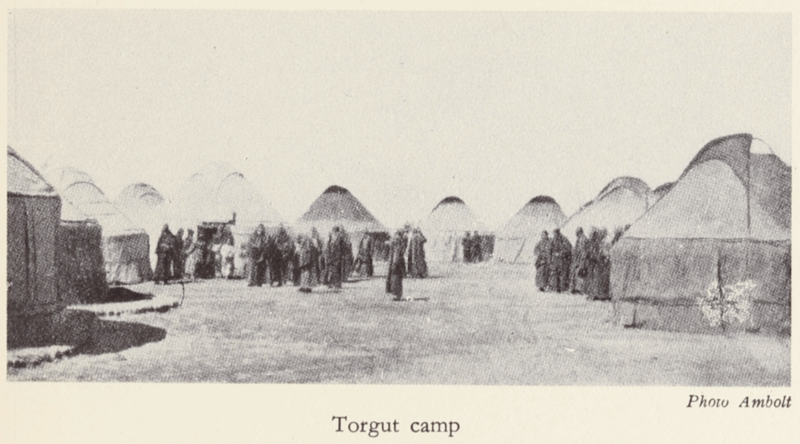 He offers the reader a thorough picture of the historical background of Torgut tribes, that are given a broad coverage in the book, and its link to their condition at the time of his visit among them. 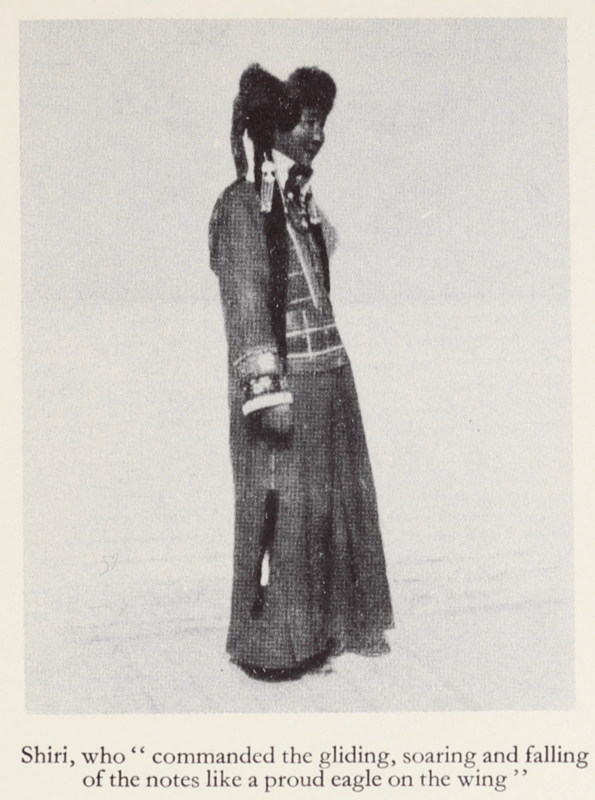 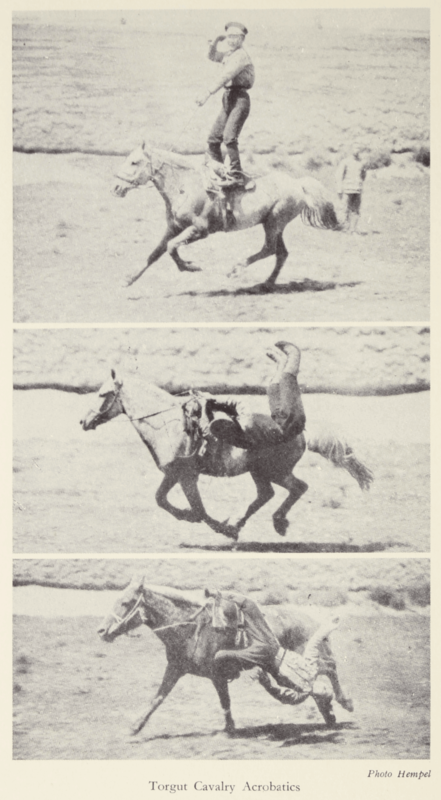 The ‘Tsam’ dance, which the author writes about at length, is an illustration of the following myth which belongs to lamaism. 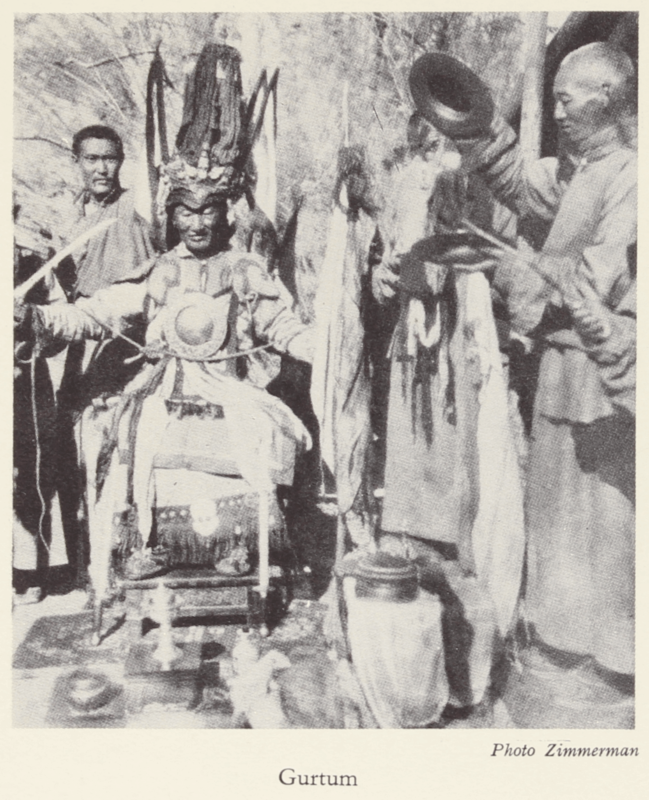 According to the belief, spirits wander around a place named Tsaghuradu and confront with terrifying figures, “the guardiance of religion”, that disguise the beautiful features of a god impersonated in the Tsam dance. 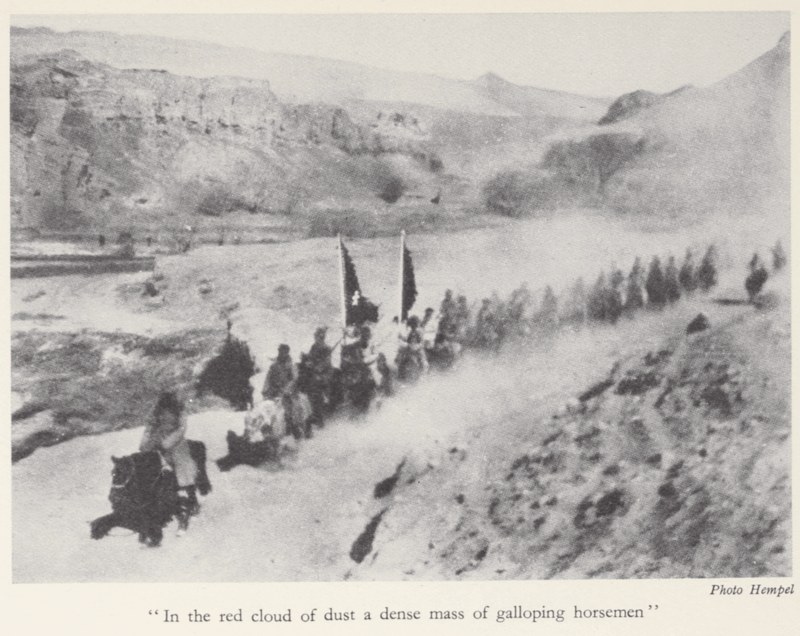 The spirits who prefer to flee from the guardiance of religion go to hell whereas the ones who intrepidly draw near to these monstrous figures are led “on the right way”.